He wears the sullen, savage aspect of a Gothic prince; he once lived in a house painted black inside and out; he invented his own language; and he created the entity known as Magma-his name is, of course, Christian Vander. Sound forbidding? He is, and the music of Magma strikingly reflects the image of its maker: bold, austere, adventurous, uncompromising, and, perhaps unintentionally, enterprising. Today Magma's original vision of "zeuhl" music (usually translated as meaning "celestial music" but in fact a term closer to "soul music," i.e., music from the spirit) can be heard not only across the European continent but as well in corners of both the U.S. and Japan. Despite a host of imitators (Univers Zero, Art Zoyd, Eskaton, Shub Niggurath, and Ruins are some of the most notable), none play "zeuhl" with such obsessive conviction as Magma. In scope, the group's futurist utopian musical drama is profoundly cosmic, much like an ancient Greek tragedy, though here the conceptual apparatus is much more expansive, involving alien civilizations, nuclear holocaust, space travel, and messianic supermen. Musically, they are perhaps unique, though it's clear the group owes a debt to artists distinct as Sun Ra and Lamonte Young, Bartok and John Coltrane. Magma's extra-musical influences are many and varied: Frank Herbert's Dune cycle, Nietzsche's Also Sprach Zarathustra, the mystical pessimism of Schopenhauer, the great cosmic narratives of the ancient Hindus, and the pagan folktales of Central Europe. Dark, implacable forces are at work in Magma's formidable oeuvre: solemn cadences, portentous lyrics, hellish operatic screams that resound the blackest pits of hell; shrieks of despair that eventually transform into choruses of jubilation; demonic chants, animal cries and barks, all propelled by Vander's muscular drumming and Jannick Top's driving, pulsating bass. Fused together, it all sounds like a mythic litany for the damned and for the blessed. As a discrete performance unit Magma is unquestionably possessed with a fury that often whips itself into frenzy, and such single-mindedness gives the group its fierce musical and spiritual convictions. Hence Vander's vision of a future earth fraught with tyranny and oppression, visited by the inhabitants of a far-flung planet named Kobaiah who, while on earth, inspire a divine prophet whose teachings of a utopian future are scorned and ridiculed by the terrans. The final act of Theusz Hamtaahk (the overarching title for Vander's Kobaiahan mythos) is appropriately apocalyptic: the prophetic vision of Nebehr Gudahtt is realized by Kreuhn Kohrmann, a terrestrial superman who leads the people of earth to spiritual transcendence through a kind of ritualized global suicide. It's a strange brew to be sure, with elements of Hinduism, Zen, Islam, fascism, utopianism, and paganism. 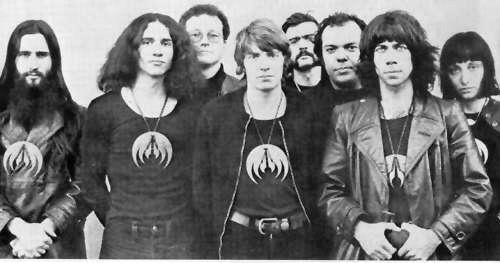 The first seven year cycle of Magma (1970-1977) saw further refinements to the mythos of Kobaiah, with Vander introducing the warring planets of Ork and Zeuhl Wortz, though how these new elements ultimately fit into the original trilogy (that is, Magma's first three albums) has always been open to conjecture. The libretto of Theusz Hamtaahk certainly expands on later Magma albums in the 70s to embrace interplanetary warfare, nuclear violence and the dispersal of Ork fleets into distant regions of space and time, but precise narrative connections to past motifs are almost impossible to pin down. Some read this sprawling epic as a thinly veiled allegory that parallels the social and political upheavals of our own contemporary world, our enslavement to fascist governments and faceless corporations, and the key to escaping the chains forged by our acquiescence to Maya's illusion. Perhaps in this last sense is what Vander really means by zeuhl music: a kind of "soul" music that carries a deeply spiritual message that hope will sustain us through any trial or adversity. But for those unfamiliar with either Magma or Vander's Kobaiahan mythos entrance into the group's music is often challenging in the extreme, often resulting in confusion, disorientation and incomprehension. Fortunately, Magma's essence can be had with the acquisition and careful listening of perhaps three or four of the group's albums which are summarized below. While the first two Magma albums (Magma and 1001o Centigrade) are still groping for a clear musical direction and are more conventionally jazzy than later albums, the third Mekanik Destructiw Kommandoh, is truly a startling experience: somber military cadences, spine-tingling vocal theatrics, tribal drumming, sinister brass and of course incomprehensible lyrics in Kobaiahan. The album as a whole is like an extract from a futuristic Wagnerian drama being played out in a galaxy far, far away and set in relief against collapsing empires and a swiftly approaching apocalypse. From the opening tribal chant of "Hortz fur Dehn Stekehn West" to the thundering cacophonous finale of "Kreuhn Kohrmann iss de Hundin," MDK is relentless and utterly gripping. Like Wagner's Der Ring, Vander concludes MDK appropriately enough with universal Armageddon. Musically, Vander downplays technical virtuosity in favor of compositional precision. Standard musical roles are reversed, with the guitar buried in the mix, while bass, brass and drums overpower everything in their path. The most difficult aspect of Magma to digest is the zeuhl choir (led by Vander's then wife Stella) and lead soloist Klaus Blasquiz whose jackboot growls and barbarian grunts play off the alternately shrieking and chanting vocalize of the chorus. But this is really indicative of Vander's genius: the inclusion of the ancient Greek conception of a chorus to represent the mores of a social group but in a jazz fusion context. The hair-raising screams, repetitive chants and furious hammer blow declamations are simply the musical equivalent of the myriad voices of whole planets and civilizations in disarray. The resultant concatenation of dissonance is thus understandable, though still at times unnerving. After the final solution of MDK to the Theusz Hamtaahk cycle, Vander's agenda for Magma becomes somewhat vague and fragmented. Their next album, the darkly powerful Kohntarkosz, moves the listener to a vast interplanetary battle ground where worlds collide in a mechanized holocaust between the people of Ork and those of Zeuhl Wortz. In addition to the 32-minute epic title track-one of the group's most intense compositions-Kohntarkosz features the Jannick Top-penned "Ork Alarm"-an important thread in the Magma canon. "Ork Alarm" is fiercely driven by Top's bass and cello, cemented underneath by an unearthly chanson from Blazquiz, squeals and screeches of guitar and Vander's martial percussion. "Ork Alarm, as well as two-part "Kohntarkosz," signaled a new direction for Magma, toward a futuristic chamber jazz that would influence such later French bands as Art Zoyd and Shub Niggurath. 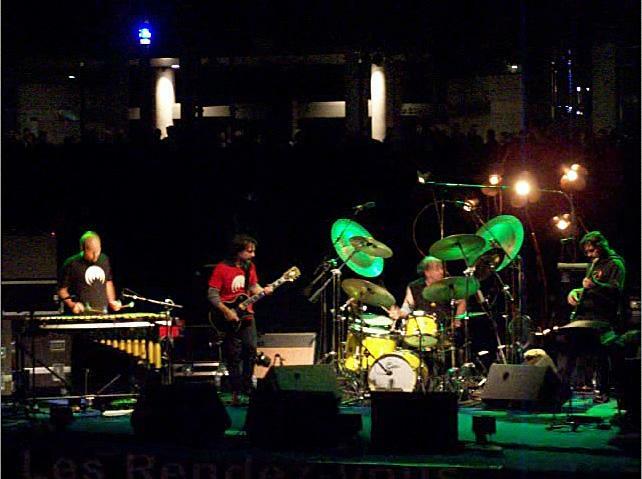 Udu Wudu (1976), in addition to moving Magma toward a more rock-oriented approach to zeuhl, also represents the culmination of the group's first cycle. The first side of the album consists of five relatively short songs, including the dark, surreal "Weidorje" and the joyous "Soleil d'Ork," which frankly is not dissimilar to the Ewok celebration song at the end of Return of the Jedi. Side two consists entirely of what many people consider the single greatest Magma song: "De Futura." Harsh and intense, full of industrial sabotage, "De Futura" is an awesome technical display of Vander's powerful drumming, Top's intertwining multiple synthesized bass patterns and Blasquiz' savage growls and guttural chants. The piece spirals and accelerates to a frenetic pace, finally dissolving into a coda of phase-shifted bass, disembodied voices and otherworldly echoed cymbal crashes. A truly monumental work, "De Futura" represents the pinnacle of Magma's compositional prowess and the end of the group's influential "exploratory" period. Taken together, Mekanik Destruktiw Kommandoh, Kohntarkosz, and Udu Wudu represent the purest distillation of Vander's mythic vision. Challenging, disturbing, difficult music to be sure, but ultimately rewarding for those with foresight and imagination.